As video game prices continue to rise to upwards of $60, how are video game fans supposed to know if a game will live up to their expectations? How are video game lovers able to afford games if they don’t know if a game is worth spending money on? With the increase of video game demos, video game developers can showcase their games and the playing experience to people who may or may not have considered purchasing their game. This however is not the only advantage to providing demo games. 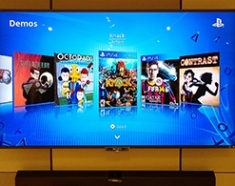 These demos also showcase what gamers could experience if they chose to purchase the full game. These demos have become bait on a fishing line, to entice gamers with highlights specially selected from the entire game, and then to reel them in to purchase the real game. Then what are the downsides to these demos? For one thing, gamers may not enjoy a demo as much as they expected and choose not to purchase the game at full price. This could possibly hurt developers with a small decrease in their sales. But I would think that this decrease would be mitigated and turned to an increase in sales in the long run. Hopefully game consoles and developers will continue to create demos in preparation for the future of gaming.